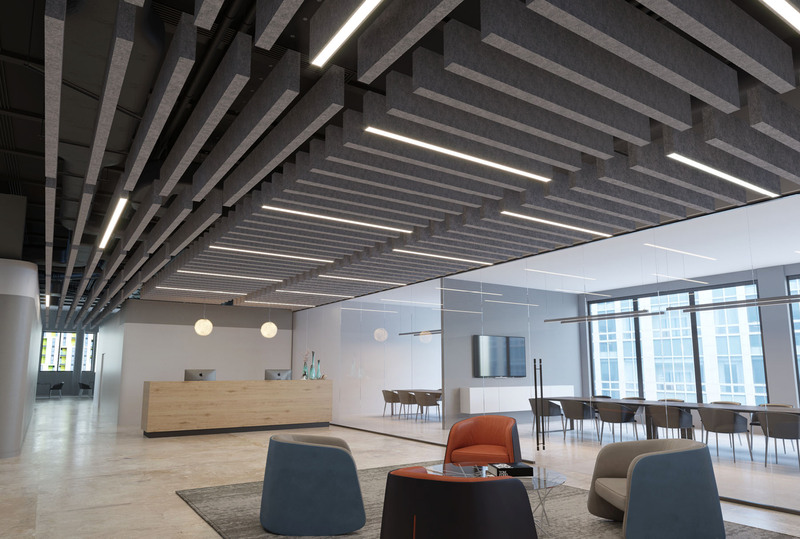 Arktura is excited to release the SoundBar™ high performance acoustical baffle and lighting system and Architectural Record 2018 Products Award Winner! This is their third consecutive year winning with their acoustical products. 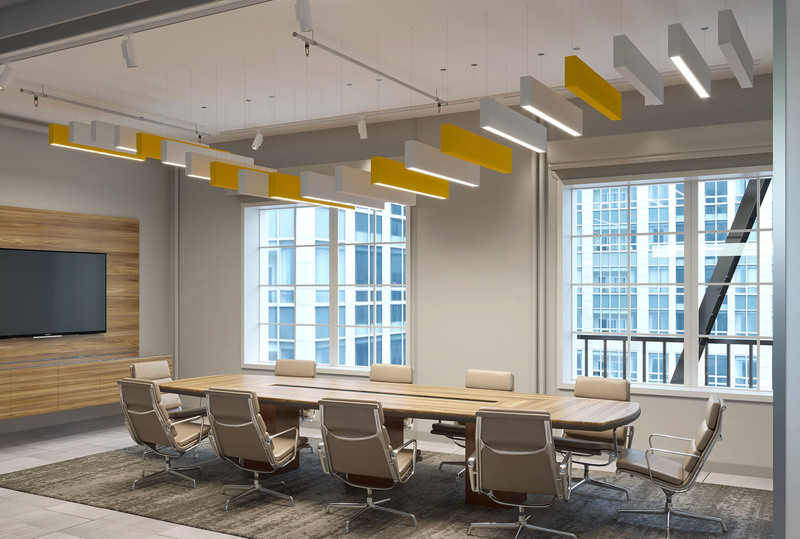 It's sleek, easy-to-install design illuminates spaces while delivering NRC ratings of up to 1.15 to give architects and designers complete control over their spaces. 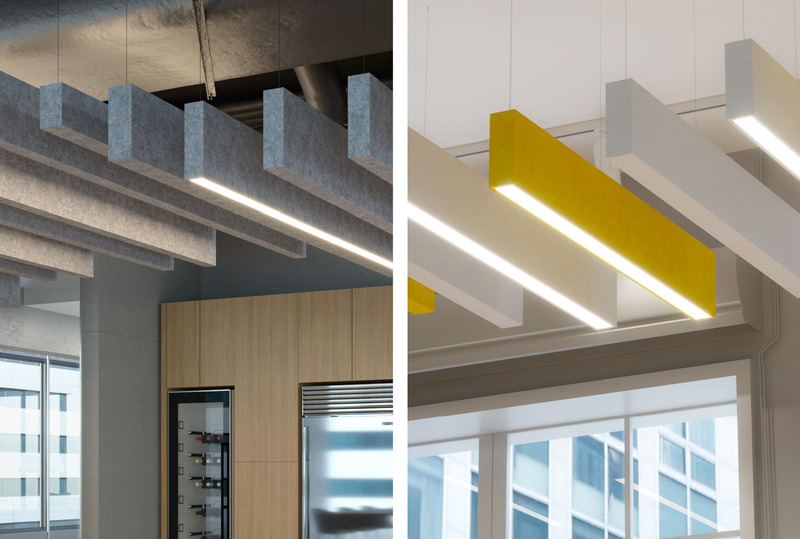 SoundBar™ is available in an assortment of lengths, widths, and depths, in Up, Down, or Duo lighting configurations, and a wide range of colors, including wood textures. Easily mix and arrange units as desired to achieve an endless array of dynamic layouts. 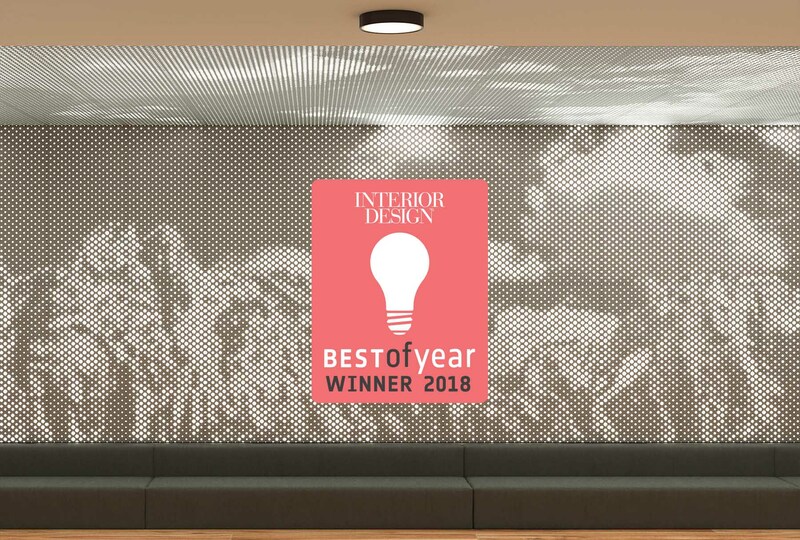 Interior Design Magazine named Vapor® Graphic Perf® as winner in Materials, Treatments & Surfaces at the 2018 Best of Year Awards! 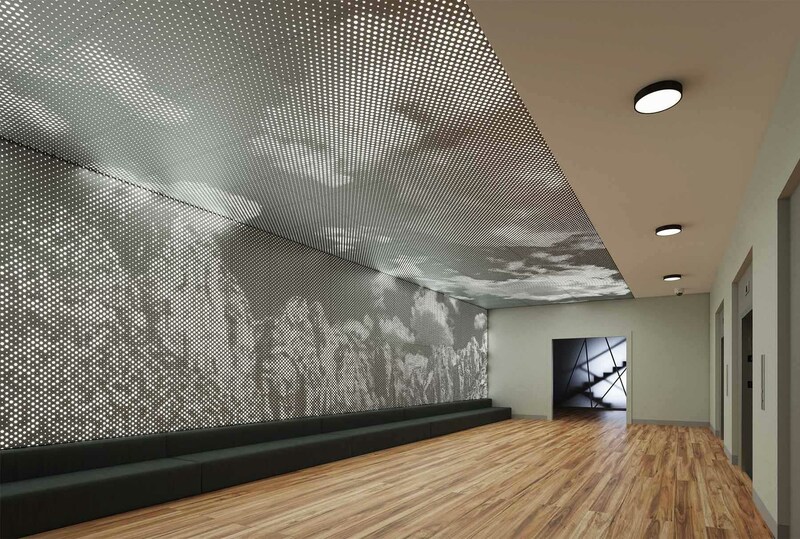 Vapor® Graphic Perf® turns Arktura's wall and ceiling panel system into one limitless canvas. 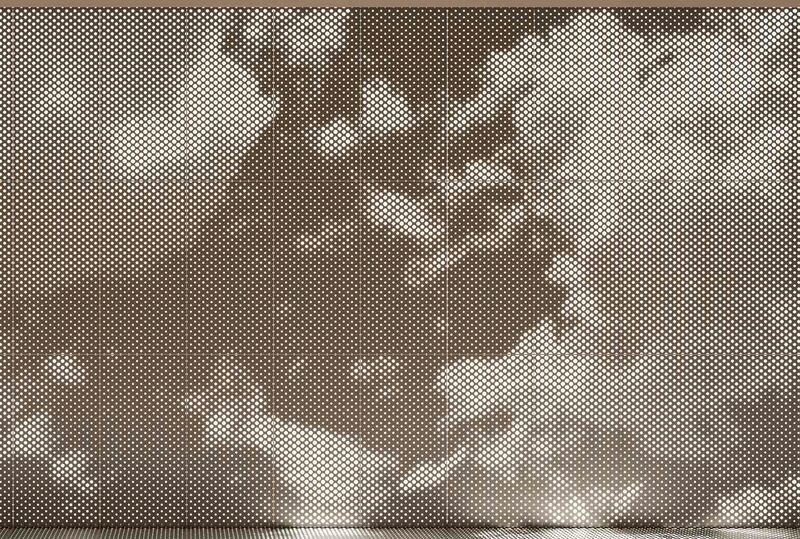 It's the cost effective and customizable version of their standard grid panels and allows branding, photography and visual elements to be transferred into the perforated metal panels. Its ease of install and compatibility with their Vertika wall channel and standard grid system makes it the best panel product of the year.